Question: A coin having probability p of coming up heads is continually flipped. Let Pj(n) denote the probability that a run of j successive heads occurs within the first n flips. By conditioning on the first non-head to appear, derive another equation relating Pj(n) to the quantities Pj(n − k), k = 1, . . . , j. Since this is purely a theoretical exercise, we will look at the simulation aspect of this. The way this is going was simulated is as follows. 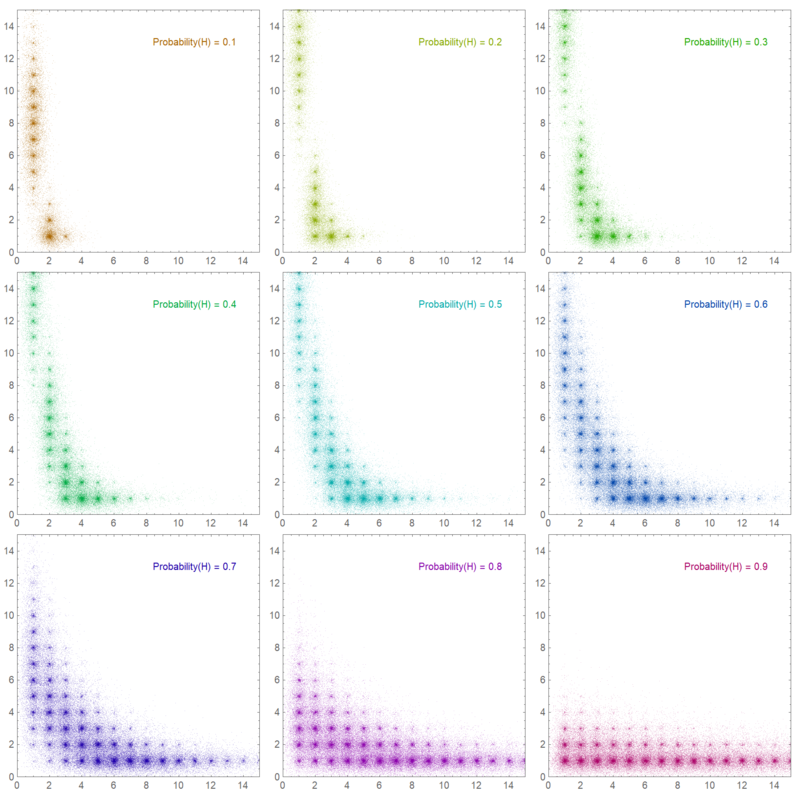 We generate a sequence of 100 bits (Heads(1) or Tails(0)) where the probability of Heads (or winning) is ‘p’. 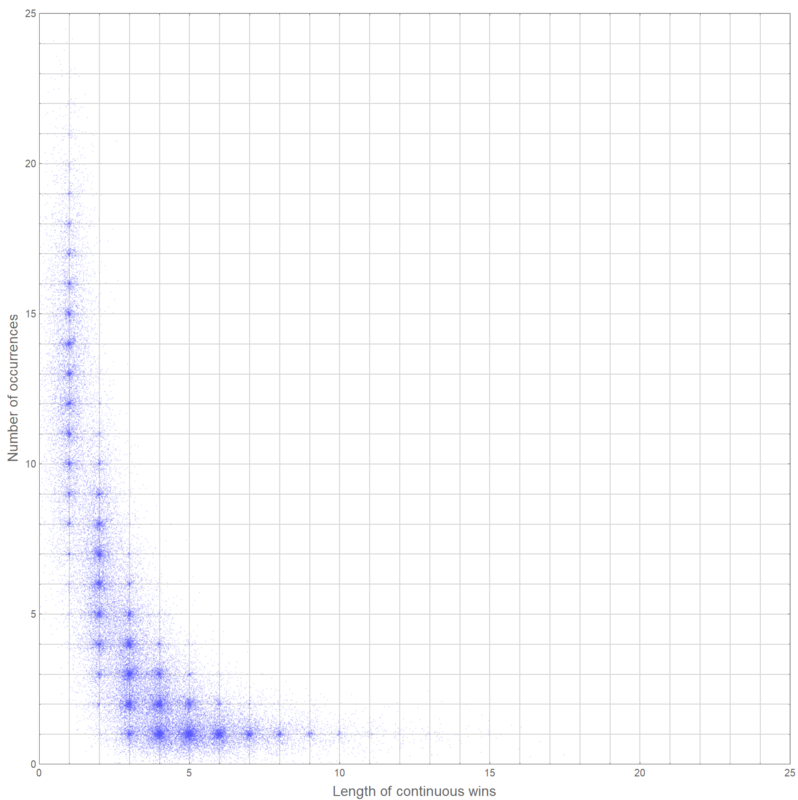 We find the lengths of subsequences that contains 1. For example, if our original sequence is 1, 0, 1, 1, 1, 0, 1, 1, 1, 1, 0, 0, 1, 0, 1, 1, 1: then the lengths of the subsequences that contain 1 are 1, 3, 4, 1, 3. This is the first level of processing. Then, we find the total number of times these sub-sequences have repeated.